This initiative entitled the “Establishment and Operation of a Regional System of Fisheries Refugia in the South China Sea and Gulf of Thailand Sea" is working with communities and governments to integrate habitat and biodiversity conservation considerations into fishery management and practices. 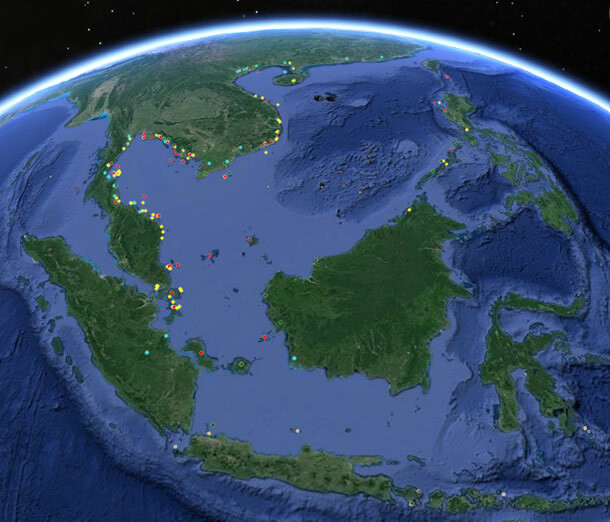 The initiative is financed by the Global Environment Facility, implemented by the United Nations Environment Programme, and executed regionally by the Southeast Asian Fisheries Development Center in partnership with the government agencies responsible for fisheries in Cambodia, Indonesia, Malaysia, Philippines, Thailand and Vietnam. The fisheries refugia approach, which aims to safeguard habitats critical to the life cycles of important fisheries resources, will not only improve and secure biodiversity but also build resiliency for those who rely on the ocean for their food and livelihoods. By improving the way fisheries and environment ministries work together, and by linking fishing effort with coastal management practices, this initiative will provide multiple benefits for the environment and people. Click here for more information and please visit at https://fisheries-refugia.org/ about fisheries refugia.